FAQ | Kapital Data Corp.
You are a New Client or Prospective Employee. Want to find out more? Please review some of our responses. OR perhaps you are a new employee or contractor or client here are some frequently requested documents. 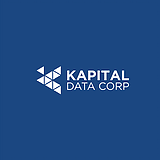 CLIENT: How do I know that Kapital Data Corp is the right firm for us? We will demonstrate expertise early-on by summarizing your project’s scope. We will demonstrate our understanding of your need and the scope and then provide plans for managing commonly-occurring project roadblocks. Finally, we will provide our approach with specifics of how we will manage scope and cost changes. PROSPECTIVE EMPLOYEE: How do I know that Kapital Data Corp is right for me?